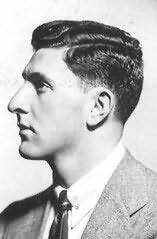 Irwin Shaw was an American playwright, screenwriter and novelist who was also a highly regarded short story author. He was born Irwin Gilbert Shamforoff in the South Bronx, New York City, to Russian-Jewish immigrants. His parents were Rose and Will. His younger brother, David Shaw, became a noted Hollywood producer. David died in 2007. Shortly after Irwin's birth, the Shamforoffs moved to Brooklyn, and Shaw changed his surname upon entering college. He spent most of his youth in Brooklyn, where he graduated from Brooklyn College with a Bachelor of Arts degree in 1934.